Mr. Dowell practices in the areas of healthcare, regulatory and corporate law. With more than 30 years of experience, he represents clients in a variety of sectors within the healthcare industry, including federally qualified health centers, health plans, PPOs, HMOs, Medicaid Managed Care Plans, Medicare Advantage Plans, PACE Programs, employer self-insured plans, pharmacy benefit managers, pharmaceutical manufacturers, retail pharmacies, long-term care pharmacies, specialty pharmacies, compounding pharmacies, mail order pharmacies, wholesale drug distributors, hospitals, health systems, long-term care providers, physician organizations, management companies, and ancillary service providers. Mr. Dowell counsels clients in a variety of corporate and contractual transactions, including mergers and acquisitions, joint ventures, affiliations, licensing, financing and services-related transactions. He also advises clients in federal and state fraud and abuse matters, compliance program development, governmental audits and investigations, Medicare, Medicaid, HIPAA and data privacy, meaningful use of electronic medical records, licensing, health care reform delivery models (including ACOs, value-based payments, and pay-for-performance), concierge medicine, and managed care law. Mr. Dowell has published several articles and spoken at conferences regarding various health law issues, including compliance, fraud and abuse, pharmacy law, federally qualified health centers, HIPAA privacy and security, and managed care contracting and payment disputes. Mr. Dowell joined Hinshaw & Culbertson LLP in December 2009. Previously he was a co-chair of the Health Care Industry Group at Theodora Oringher Miller & Richman PC in Los Angeles. 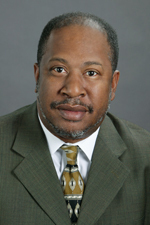 Mr. Dowell began his legal career in 1983 as a staff attorney with the National Health Law Program in both Washington, D.C. and Los Angeles. In 1989, he became corporate counsel to CIGNA Healthcare of California. From 1991 to 2006, he was Chair of the Health Care Practice Group at Miller & Holguin in Los Angeles. Advice and counsel to FQHCs regarding board governance issues, including fiduciary responsibility and conflict of interest policies. Counseled and advised FQHCs on a wide variety of transactions to ensure compliance with tax-exemption requirements and avoidance of intermediate sanctions. Represented a FQHC in a merger with another FQHC. Drafted and negotiated affiliation agreement and related contracts between a FQHC and Non-Profit Hospital System. FQHC Board of Directors workshops and seminars regarding federal grant applications; compliance with Federal program requirements; corporate compliance programs; grants management; provider affiliations and networks; nonprofit governance; and managed care contracting. Represented a FQHC in its $9 million equipment and construction loan funded from tax exempt bond proceeds. Represented a FQHC in negotiations with Bank of the West and Wells Fargo Bank for Letters of Credit to secure loans obtained through municipal finance transactions. Drafted and negotiated Community Benefit Grant agreements on behalf of FQHCs. Drafted and negotiated 340B pharmacy administrator agreements and contract pharmacy agreements. Analysis, revision and negotiation of PBM contracts for pharmacies and managed care plans, including review and drafting of Medicare Part D Prescription Drug Program agreements and requirements. Counseled numerous hospitals on all aspects of licensure, certification and accreditation, including Medicare and Medicaid enrollment, change of ownership, and operational issues. Provision of advice and guidance regarding the Drug Quality and Security Act, Compounding Quality Act, and the Drug Supply Chain Security Act. Representation of pharmacies, pharmacists and pharmacy technicians in Board of Pharmacy licensure, regulatory, and disciplinary matters. Representation of pharmacies, pharmacists and pharmacy technicians in DEA investigations and Controlled Substances Act compliances. Drafting and negotiating prescription drug distribution agreements, group purchasing organization agreements, specialty services agreements, and marketing agreements. Advising pharmacies on HIPAA and HITECH privacy and security requirements. Development of template contracts and Policies and Procedures. Identification of regulatory and compliance issues for radiopharmaceutical products. Representation of buyers and sellers in the purchase of pharmacies. Assist pharmacies in the implementation of electronic prescribing and electronic health records. Provision of advice to covered entities and contract pharmacies on 340B program compliance. Assist clients in developing compliance strategies, including review and analysis of pharmacy laws and regulation in all USA States and Territories. Provision of advice and counsel on DEA requirements for controlled substance distribution and dispensing. Structured, negotiated and documented $80 million sale of a management company and affiliated physician practices located in multiple states to a large publicly traded company. Conducted health care regulatory due diligence and general corporate representation of client in its acquisition of a four-hospital Health System. Developed and implemented a Corporate Compliance Plan, code of conduct, and policies and procedures for a nonprofit integrated delivery system comprised of an HMO, physician organization, federally qualified health clinic, and community health programs. Counsel to Physician Practice Management Companies and Dental Practice Management Companies and Acquisition of Medical and Dental Practices. Drafted and Negotiated Medical Director and Hospital-Based Physician coverage agreements for radiology, emergency medicine, anesthesiology, and pathology. Counseled a chain of Dialysis clinics in legal and regulatory matters related to their sale to a publicly traded company. Knox-Keene Health Care Services Plan (HMO), PPO, EPO, and Health Insurance Company licensure and regulatory advice for numerous clients. Advised numerous health care providers and entities regarding anti-kickback laws, self-referral prohibitions, Medicare and Medicaid certification, and licensure requirements. Counseled numerous healthcare organizations on all aspects of licensure, certification and accreditation, including Medicare and Medicaid enrollment, change of ownership, and operational issues. Conducted an internal investigation for a Medicare and Medicaid HMO to determine compliance with Medicare marketing requirements. Counseled hospitals and health systems, health plans, insurers, governmental entities, physician organizations and personal health record vendors with respect to a wide range of privacy and security compliance issues. HIPAA and HITECH Act audits and investigations. Representation of physicians and medical groups, including IPAs, in the review, analysis and negotiation of all types of managed care plan agreements, including multi-year payor agreements. Development of physician and dental practice management services agreements to conform to corporate practice of medicine, fee splitting, and anti-kickback laws. Development and formation of Medicare Advantage Plans, Medicaid HMOs, commercial plans, and specialized health plans (vision, dental, chiropractic and mental health). Drafting, negotiating, and analyzing fee-for-service and capitation physician organization and managed care plan contracts and related documents. Health Care Law Section Meeting, Newport Beach, California, September 2014. "Fraud & Abuse," California Society for Healthcare Attorneys Annual Meeting & Spring Seminar, Olympic Valley, California, April 2014. "EHR, PHI, HIPAA, HITECH: Deciphering the Alphabet Soup for Data Privacy and Security in Health Care Delivery," 88th Annual Convention & Exhibits, National Bar Association, Miami, Florida, July 2013. "The Omnibus Rule and Its Impact on HIPAA Compliance," National Bar Association Health Law Section Webinar Series, June 2013. "A Map to Healthcare Reform Compliance," Minority Corporate Counsel Association's 12th Annual CLE Expo, San Diego, California, March 2013. “HIPAA Security Breaches and Cyber- Liability,” Hinshaw’s Annual Health Care Conference, Lisle, Illinois, November 2012. “Defending Against False Claims Actions and Identifying the Other Fraud & Abuse Implications of Managed Care Litigation,” American Conference Institute’s 2nd Advanced Forum on Management Care Disputes and Litigation, Phoenix, Arizona, November 2011. “Basics of Health Plan Law,” California Society of Healthcare Attorneys 2011 Fall Seminar & Back to Basics, Los Angeles, California, November 2011. “Effective Collaboration Between Hospitals and Federally Qualified Health Centers/Rural Health Centers,” National Association of Health Services Executives 26th Annual Education Conference, Henderson, Nevada, October 2011. “Managed Care Contracting After Health Care Reform,” Hinshaw’s 2010 Health Care Conference, Lisle, Illinois, November 2010. “Healthcare Fraud and Abuse in a Tougher Enforcement Environment,” Strafford Publications, Inc., live webinar, April 2010. “Recent Healthcare Fraud Enforcement Efforts Under the Obama Administration and Impact to Plans, Payors and Providers,” American Health Lawyers Association, live webinar, February 2010. "OIG Issues New Safe Harbor on Free or Discounted Local Transportation Services," BNA's Health Care Fraud Report, February 2017. "Recent OCR Enforcement Actions Emphasize the Importance of Executing HIPAA Business Associate Agreements," BNA's Health Law Reporter, June 2016. "Federally Qualified Health Center Federal Tort Claims Act Insurance Coverage," co-author, The Health Lawyer, February 2015. "HIPAA Settlement With Community Pharmacy Highlights Best Practices For the Handling and Disposal of Paper PHI," BNA’s Health Law Reporter, May 21, 2015. "Federally Qualified Health Center and Look-Alike Sliding Fee Discount and Related Billing and Collections Program Requirements," co-author, Journal of Health Care Compliance, January/February 2015. "Federally Qualified Health Center and Look-Alike Bureau of Primary Health Care Operational Site Visit Compliance Audits," co-author, Journal of Health Care Compliance, July/August 2014. "Executive Summary: New Health Center Governance Requirements," co-author, American Health Lawyers Association Practice Group Executive Summary, April 2014. "Hospital-Physician Transaction Compliance Strategies to Address Recent Fraud and Abuse Enforcement Actions," Journal of Health Care Compliance, March/April 2014. "Commentary: Concerns About Quality Improvement Organizations Actions Around Meaningful Use," co-author, Government Health IT, June 25, 2013. "Commentary: The Litigation and Risk-Management Concerns Meaningful Use Triggers," co-author,Government Health IT, March 29, 2013. “Meaningful Use Electronic Health Record Incentive Payment Audits: Are You Ready,” BNA’s Health Law Reporter, November 29, 2012. “Medical Spas Now Subject to New California Regulatory Requirements,” Los Angeles Daily Journal and San Francisco Daily Journal, August 31, 2012. “2013 Medicare Marketing Guidelines Present New Compliance Challenges,” BNA’s Medicare Report, July 13, 2012. “HIPAA Compliance Audits and Heightened Enforcement Are Coming: Are You Ready?” BNA’s Health Law Reporter, August 30, 2011. “The OIG’s Hospital Compliance Initiative,” BNA’s Health Care Fraud Report, August 10, 2011. “Compliance Program Implications of Recent HIPAA Privacy Enforcement Activities,” BNA Health Law Reporter, Vol. 20, No. 11, March 17, 2011. “HRSA Issues New Section 340B Guidance for Contract Pharmacy Services,” CCH Health Care Compliance Letter, Commerce Clearing House, Volume 13, Issue 8, April 20, 2010. “Outsourcing: A Cost-Effective Way to Achieve Health Care Compliance,” Journal of Health Care Compliance, March-April 2010. “President Obama Targets Healthcare Fraud: Payors, Plans and Providers Beware!” Payors Plans & Managed Care, a publication of the American Health Lawyers Association, Volume 12, Issue 3, December 2009. "Federal Funding and Regulation of Health Care Information Technology and Electronic Health Records under the HITECH Act," CCH Health Care Compliance Letter, June 2009. "Revised Anti-Markup Rule Will Have Significant Impact on Physician Diagnostic Testing Service, Billing Arrangements," BNA Medicare Report 19, No. 14, April 2008. "New Safe Harbor Protects Certain Financial Arrangements Involving Federally Qualified Health Centers," CCH Health Care Compliance Letter 10, no. 24, December 2007. "Beware of the Office of Inspector General: OIG 2007 Work Plan Challenges and Solutions for Medical Groups," Group Practice Journal 56, No. 1, January 2007. "Update Your Compliance Plan Now: The OIG's 2006 Work Plan Targets May Impact You!" Journal of Health Care Compliance 8, No. 2, March–April 2006. "Phase II of the Final Stark II Regulations: Practical Implications for Medical Groups," Group Practice Journal 53, No. 8, September 2004. "Phase II of The Final Stark II Regulations: Implications for Medical Groups." California Association of Physician Groups Update 6, No. 8, August 2004. "Fraud and Abuse Issues in Forming and Operating Hospital-Physician Joint Ventures" and "Factors to Consider When Selecting a Joint Venture Organizational Structure," Journal of Health Care Compliance 4, No. 6, November– December 2002. "Developing Mechanisms for Reporting Compliance Violations," co-author, Healthcare Financial Management 55, No. 8, August 2001. "The Importance of Being Earnest: Assessing the Effectiveness of a Health Plan's Compliance Program," co-author, Healthplan 42, March–April 2001. "OIG Urges Review of Physician Office Space Rental Arrangements," co-author, Group Practice Journal 49, No. 6, June 2000. Pharmacies and Prescription Drug Dispensers...Are You Ready for The March 1, 2016 DSCSA Compliance Deadline?